RBI Governor Urjit Patel said on Friday the change to "neutral" stance at the bank's monetary policy review last week allows more flexibility to go either way on rates, as compared with an earlier "accommodative" one on inflation outlook. 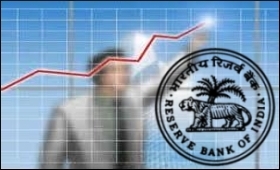 The Reserve Bank of India at its monetary policy review last week maintained its key policy rate unchanged at 6.25 per cent. The RBI Governor told CNBC-TV18 in an interview that the RBI was moving at a fast pace towards remonetisation with the printing of currency going at full capacity from day one of demonetisation on November 9. "The best way that central bank can support growth on a durable basis is to ensure inflation is low, stable, there is financial stability and that is the role the central bank plays. Very few countries grow at high growth rate if inflation is high and volatile. So, I think we are doing our bit to support higher growth rate, but on a durable basis," he said. "I think that in terms of remonetisation, we are proceeding at a pace that is very quick. Therefore, we have managed to bring the situation to normal along most of the dimensions after demonetisation," he said. "In a way, this was part of the plan that we would be printing the currency notes to full capacity from day one and we would reach a threshold point in this process when things do become more or less normal," he added. Patel said he was confident that like demonetisation, remonetisation too would achieve its objectives, criticism or no criticism. "That has always been the case. What makes news is fairly subjective in this regard," he said. Acknowleding the impact of demonetisation, the RBI last week lowered economic growth estimate for the current fiscal to 6.9 per cent from 7.1 per cent projected earlier. In his first comprehensive interview since the demonetisation drive, Patel said India's economic growth will make a "sharp V" recovery following the recall of old 500- and 1,000-rupee notes. "Almost everyone agrees that the impact is going to be a sharp 'V', that we would have a downgrade of growth for a short period of time," he said. Also in his first reactions to America becoming protectionist under President Donald Trump, Patel cautioned that the world's response to it "could get messy." "The change in policies from the largest economy in the world... the US, is something that the world will have to start getting used to because it is a major change in terms of openness to trade, in terms of trade barriers, in terms of the kind of fiscal policy that the new government may undertake, which against a backdrop of a tightening monetary policy stance by the US Fed has a real possibility of financial volatility going forward," he said. "So, I think we are at an important juncture and the possibility of negative consequences for countries around the world is a possibility. Asia may come in for special treatment because almost two-thirds of the US trade deficit in goods is with respect to Asia," he added.